Prior to applying for a scholarship, the student must first apply for a study program at Master’s or Bachelor’s level via official website, an online application service for study programs in Sweden. About 600 different study programs at Swedish universities are eligible for a scholarship. The programs have been selected by the Swedish universities and cover a wide variety of study areas. As soon as the results of Swedish university admission have been published at official website, the online service for the Swedish Institute Study Scholarships will open. Please note that only admitted students can apply for a scholarship. The scholarship application period will be March 14-25, 2012. A list of successful candidates will be published at www.studyinsweden.se and www.si.se in mid-April. 1. Apply to a study program at a Swedish university by using the online application service at www.universityadmissions.se. The application period lasts between December 1, 2011 and January 16, 2012. Please observe that the personal application number retrieved in the confirmation from your study program registration has to be used when applying for a scholarship. Curriculum Vitae (CV) of one page maximum. Additional pages will not be considered. Motivation letter. Has to be completed by using the Swedish Institute template found here (available soon!). Apply for a scholarship through our online service here (available March 14 – March 25, 2012) by using the personal application number retrieved in the confirmation following your study program registration. Don’t forget to submit your enclosures. Only complete applications from students who have been admitted to a study program by a Swedish university will be considered. What happens next with my application for a scholarship? The Swedish Institute will evaluate your application between March 26 and April 15, 2012. SI will announce a list of successful scholarship candidates at www.studyinsweden.se around April 16, 2012. Each successful candidate will receive an official scholarship offer by e-mail and is requested to accept or reject this offer. Please observe that you also have to accept your place at the study program at www.universityadmissions.se. 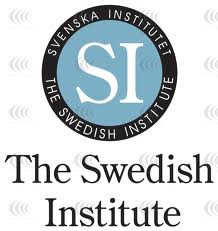 Demikian kami sampaikan tentang The Swedish Institute Study Scholarships, Sweden semoga informasi tentang The Swedish Institute Study Scholarships, Sweden ini bermanfaat.